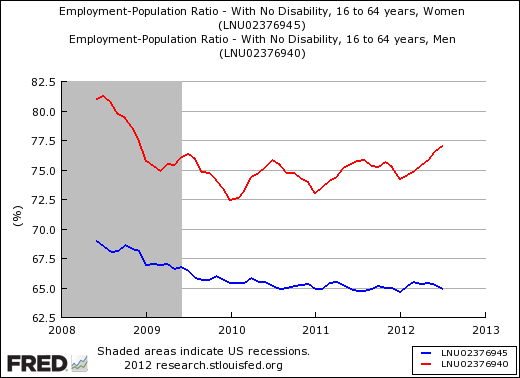 Employment population ratio is the number of people with jobs divided by the total population within the defined demographic. 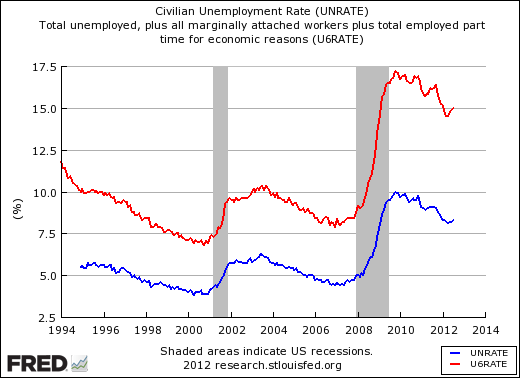 Unemployment and underemployment rate is below 2009-2010 peaks and is improving. 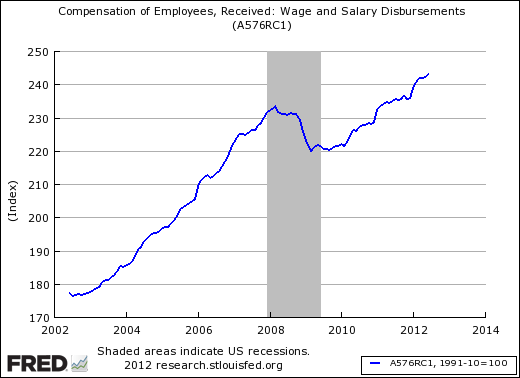 Total wages and salaries are at historic highs and well above the pre-2008 levels. 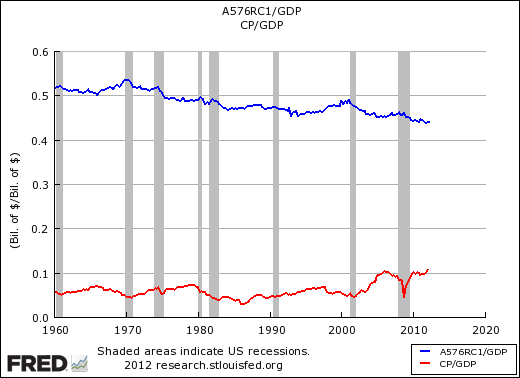 Wages and salaries are at the lowest ratio to GDP since 1960, whereas corporate profits are at the highest ratio to GDP since 1960. The number of jobs outside of farms has been rising since 2010, but is still about 4 million below the 2007 peak. 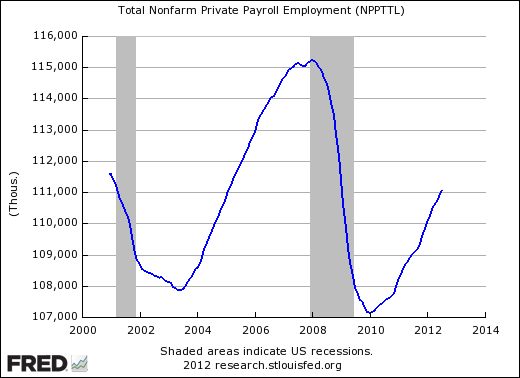 This entry was posted on Friday, August 3rd, 2012 at 11:42 AM and is filed under Interesting Charts. You can follow any responses to this entry through the RSS 2.0 feed. Both comments and pings are currently closed.